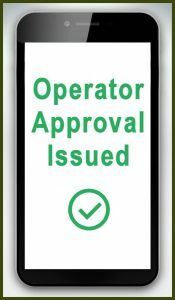 Why do you need Mobile Network Operator Approvals? The answer is simple. Whilst your handset or device has undoubtedly been through lengthy development and conformance (compliance and regulatory requirements for radio transmissions, etc.) testing it will still need to be accepted for use on Operator networks. All handsets using wireless communications services across Mobile Network Operator (MNO) radio spectrum and infrastructures need to achieve approval from the Operators or risk having their devices barred or blacklisted. This is called Mobile Network Operator Approvals. Seeking Operator approval can be a daunting task and this is where IoTAS can help. Over the years we have developed relationships with MNOs which have allowed us access to understanding the numerous (because they aren’t all the same!) approval processes and how they can be best answered. In the majority of cases additional Live Network Testing can be performed, either within the framework of the GCF or in accordance with a structured test program agreed by all three (Manufacturer/Operator/Test Organisation), which we refer to as Open Market And MVNO Testing. As MNOs are not always geared up to respond quickly to requests for new devices wishing to be accepted onto their networks it can sometimes be a slow process, involving many meetings, discussions, testing, re-testing, etc. This can be very frustrating for both the manufacturer and the MNO – a situation that is best avoided. Telcel – The leading provider of wireless communications services in Mexico. As MNOs own and control the delivery of mobile services including radio spectrum, infrastructure, billing, CS, etc., anyone wishing to achieve approval must demonstrate a fully compliant, compatible and quality assured device. Simply get in touch with IoTAS Sales and we will begin to explore your options, including the extent of Approval testing you will need to achieve (you may already have partial compliance) and additional Operator submissions required. A comprehensive testing program can be designed and executed in accordance with agreed timescales.